Is Disney Going To Remake The Star Wars Prequels? Since Disney’s takeover of the Star Wars franchise and the release of Star Wars: The Force Awakens, one thing is very clear in that they have scooched themselves all the way to the other side of the bench that the prequel trilogy is sitting on. The Force Awakens is so into throwbacks that the whole movie is essentially a throwback in itself… well except for pretty much anything to do with the prequels, they don’t even want to touch that for now. So what do they do? It all happened, it’s all canon (material accepted as an official part of the story) and they are surely limiting themselves by just turning away from that entire piece of the story’s history. 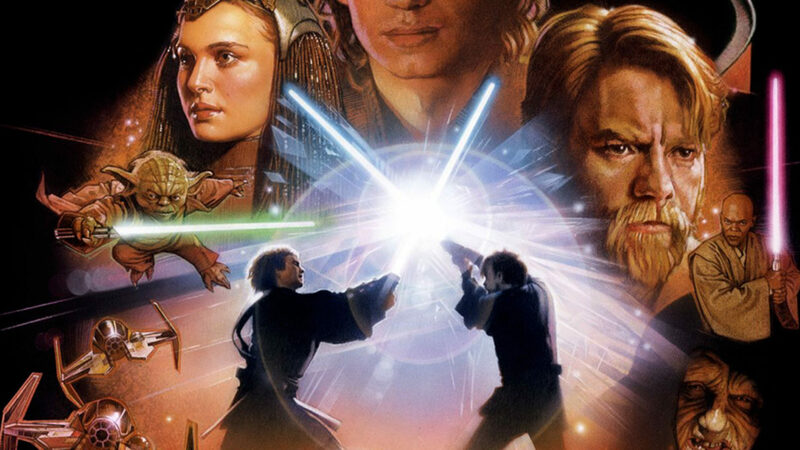 Here’s what I think, and hear me out, because I know you already think I’m crazy… but I think Disney could actually get away with remaking the story of Anakin’s transformation to Darth Vader… and in only one movie. Ok, you’ll mostly all still think I’m crazy, but let’s move on. As a result of still being completely swept up in the buzz of The Force Awakens, I’ve slowly been tempted over into further viewings of the prequels, and one thing is still abundantly clear and that is that when you hold them up to the originals and the new film, they just really don’t feel like they fit in. Don’t get me wrong, because I think that if they were standalone films without the sequels ever having existed, they would still function pretty darn well as adventurous animated/live-action… well, cartoons for young folk to enjoy and that’s kind of what they are. That said, as Star Wars movies that were supposed to follow on and add to the original trilogy, they just don’t compare and we all know that. The tone is off, the scripts weren’t great and the actors’ performances (and I know I’m beating a dead horse here) really did hurt the films ability to tell a story well, be it due to directing or the fake sets or whatever else, as we *know* that the cast were capable of better. One thing that I can’t shake though, is that the concept of the story really still is good, and worth telling. This young child, plucked from a life of slavery and told over and over again his whole life that he is some chosen one that will restore balance to the force, ultimately pushing him in directions that lead to his downfall. You also may have heard of the mythical “Topher Grace edit” of Star Wars, where yes, Eric from That 70’s Show edited the entire prequel trilogy into one movie and then invited a select group of people over to watch it. He never released it to the public, but people have attempted to recreate it from descriptions of what happened. A similar edited titled “The Phantom Edit” has since been created, and I’ve actually put it right here for you to check out. Trust me when I say you should watch just the first few minutes and you will understand how much is considered unnecessary in the prequels. There’s more! Carry on reading by clicking to page 2 below! What crimes did the prequel commit that absolutely needs to be fixed and have you seen this next guy’s great take on what could be done to make the prequels really good? Keep reading as we discuss where it needs to go! Continue to Page 2!